Welcome to our website. If you continue to browse and use this website you are agreeing to comply with and be bound by the following terms and conditions of use, which govern BDM Law LLP’s relationship with you in relation to this website. The term “BDM Law LLP” or “us” or “we” refers to the owner of the website whose registered office is 9 Devonshire Square, London, EC2M 4YF. The term “you” refers to the user or viewer of our website. BDM Law LLP is committed to respecting your privacy and the privacy of every visitor to our web site. The information we collect about you via Cookies is used to fulfil the required services and enable us to improve how, as an organisation, we deal with you. This information will not be disclosed to anyone outside BDM Law LLP or its associated companies, partners, and other companies with which BDM Law LLP has arranged services for your benefit. You are under no statutory or contractual requirement or obligation to provide us with your personal information. The legal basis for processing your data is based on your specific consent provided at the point of access. We will not store, process or transfer your data outside the parties detailed above unless we have an appropriate lawful reason to do so. Unless we are precluded from doing so by law, you have the right to remove your consent at any time by contacting us and requesting that processing of your details be restricted or deleted. Unless otherwise required by law, your data will be stored for a period of 2 years after our last contact with you or your last visit to our website, at which point it will be deleted. BDM Law LLP takes precautions, including administrative, technical, and physical measures, to safeguard your personal data against loss, theft, and misuse, as well as against unauthorized access, disclosure, alteration, and destruction. 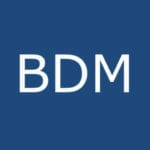 BDM Law LLP uses industry-standard efforts to safeguard the confidentiality of personal data including encryption, firewalls and SSL (Secure Sockets Layer). We have implemented reasonable administrative, technical, and physical security controls to protect against the loss, misuse, or alteration of your personal data. Any and all differences and disputes arising out of or in the course of our retainer shall be finally resolved under the exclusive jurisdiction of the Courts in London, and the laws, both substantive and procedural, of England and Wales, provided that we may in our sole and unfettered discretion commence proceedings against you in any other court.